It’s nearly July – and that means Curvy Month is coming! For all you curvy, vintage-loving knitters out there – 10 free vintage knitting patterns, in bust size 36 inches or greater. 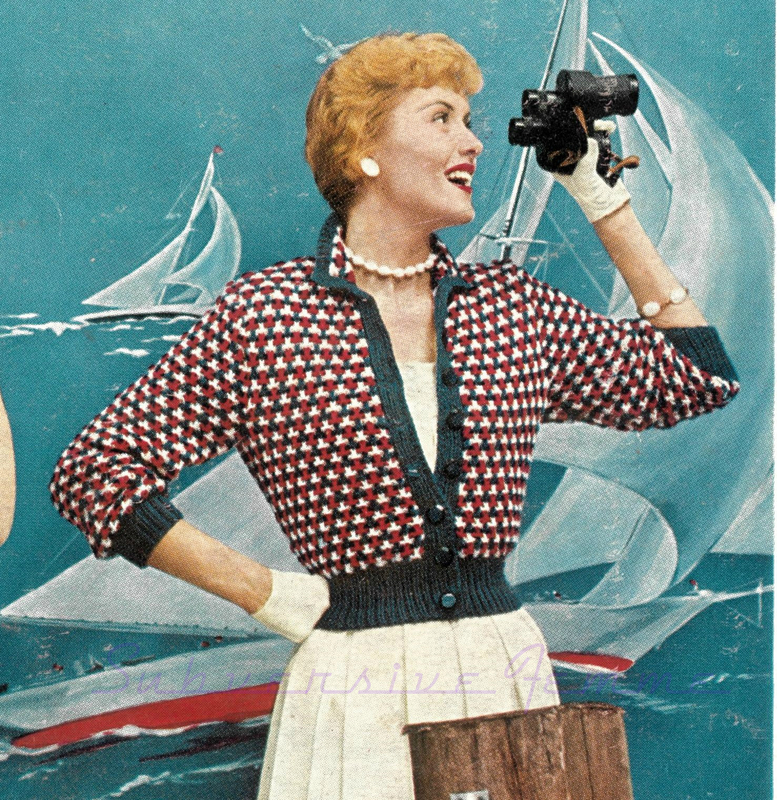 As always, I’ll have patterns from the 1930s-1950s – so mark your calendars and oil up your knitting needles! If ever I wished I knew how to knit, curvy month (my birthay month!!!) would be it!!!! Thank you for posting patterns! Fabulous!!! Curves need all the celebrating they can get, if you ask me. WAHOO! I'm really looking forward to it!